Kevin Coutts with his family. Photo courtesy of Darlene Woodley. 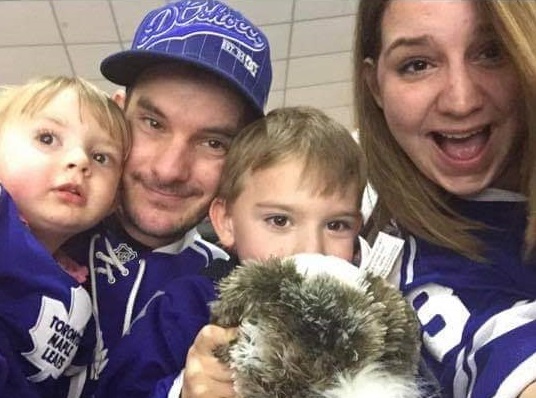 If there were two things Kevin Coutts was known for it was his love of family and his passion for the Toronto Maple Leafs. 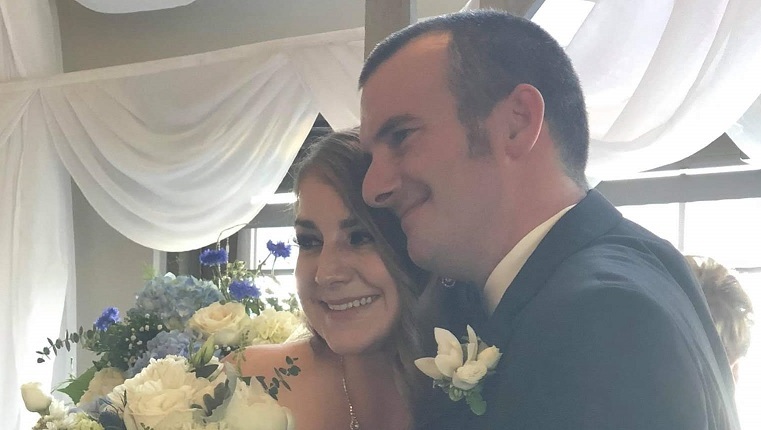 The 40-year-old Ingersoll father of two died earlier this week from injuries he suffered during a five-vehicle crash in Norfolk County on October 25. Nine other people were also hurt when the vehicles collided on Hwy. 24 and Norfolk County Rd. 19 E.
Coutts’ sister Darlene Woodley said her brother had a welcoming nature that people tended to gravitate towards. Coutts had moved to Ingersoll for work earlier this year and married his longtime partner Amanda in June. The pair have two children ages 8 and 4. Kevin Coutts with his wife Amanda. In the days following the crash, Woodley launched a GoFundMe campaign to raise money for her brother’s wife and kids to help cover the cost of household bills, food, and travel to and from the hospital in Hamilton. By Friday afternoon, nearly $8,000 toward the $10,000 goal had been donated. “May he Rest In Peace. Going to miss you so much and love to the heavens and back,” wrote Coutts’ wife. 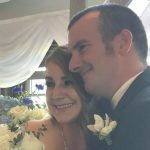 Friends of Coutts have also been expressing their sadness and condolences through the fundraising website and social media. “What a horrible tragedy and for his family all around. The world has lost a truly genuine, caring and great all around guy. May he rest in peace,” wrote one friend. “He was far too young to leave this world,” stated another. The family has offered their thanks to first responders and hospital staff who cared for Coutts after the crash. “They all gave us a few extra weeks with my brother,” said Woodley. A private funeral service has been planned for later this month. The investigation into the circumstances of the multi-vehicle collision is on-going, but police have indicated charges are pending.